1. Michigan: I received my 1st Pukka bike today and I just wanted to let you know how impressed I am. This bike is awesome. It's every-bit as good as I've read about it. I'm sure that once my kids see it, I'll have to get at least one more. 2. Utah: I bought one for my son's birthday in February, now my daughter won't be satisfied with less, so I'm buying another Pukka. 3.Canada: Many people here have seen it and wanted to know where to get one so I give them the web address - our garbage man was going to buy one for his kids, several adults saw it and asked about it when my eight year old drove it in a parade in May, and several more when we take it camping with us. The kids have a blast with it. 4.Florida Just wanted to let you know the Pukka we ordered arrived in good shape and was a big hit. My daughter loves it and my wife and I have even take a spin or two. Thanks for you prompt friendly service and helping to make a great birthday for my daughter. 5. Arizona: I bought two pukkas for my kids recently. I MUST SAY THEY ABSOLUTELY LOVE THEM! 6. Rural Arizona: Hi. We have recently purchase two Pukkas and we love them. . .We are very pleased with our bikes. Thanks so much for a great product. Our Pukkas run 3x as far as the electric scooters in the neighborhood and still have plenty of juice when climbing hills. We love them. 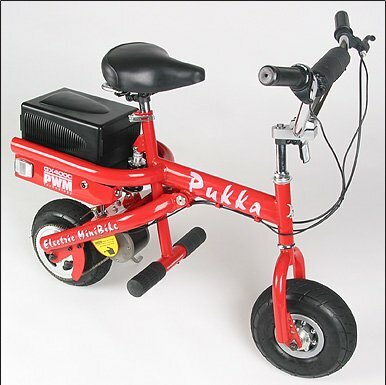 We noticed when we were first researching scooters that the Pukka was a street product. We live in a rural farm area with lots of dirt roads, but opted for the pukka anyway because of its ability to go so far on one charge and still have enough umph to make it up hills. We have two kids who ride to and from school each day on their pukkas. 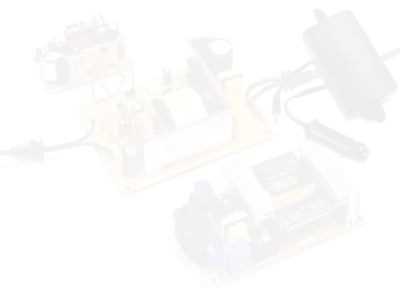 They travel several miles there and back without any problems or the need to charge the battery during the day. One of the other features we love - the keys! A few other kids in the community have electric scooters without keyed ignition. What a mistake. Anyone can take it and use it unless they lock it up within the school. They also need to charge it at school during the day. So having a keyed ignition saves our kids from a lot of headache. The parent control key is a great idea as well. It caused a few eye rolls from the guys who have a need for speed, but my daughter was actually grateful. It allowed her to get used to the bike at a safer speed. Well, thanks again for a great product. We are spreading the word around here and hope to see a few more in our valley.